MANHATTAN — The high-end Indian restaurant chain Moti Mahal Delux has more than 100 locations across the globe, including Nepal, London, and India — and starting this week, the Upper East Side. Chef Gaurav Anand opened the much-heralded company’s first U.S. outpost at 1149 First Ave., near 63rd Street., to the delight of fans of its signature Murgh Makhani — or butter chicken. 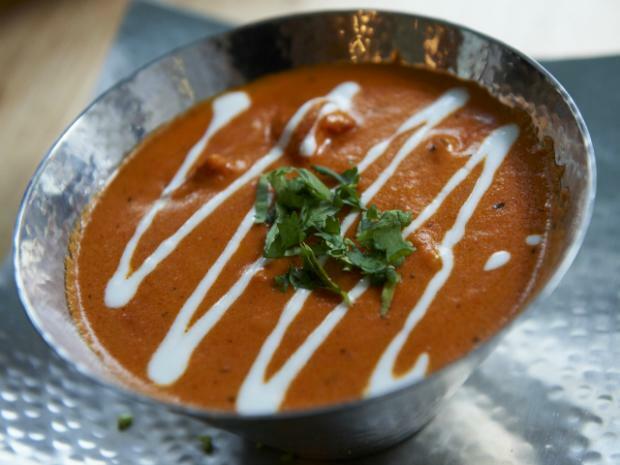 Moti Mahal’s signature chicken dish is served in a velvety sauce of creamy tomato, a more authentic, more delicious dish than the Tikka Masala version more commonly found in America, Anand said. “When I came to the U.S. I discovered many things I never discovered in India," he said. Anand, who owns Curry Hill hotspots Bhatti Indian Grill and the newly opened Indian street food "concept" restaurant, Desi Galli, said his fresh tomato puree takes hours to create, and the sauce can only be made with a special, expensive butter imported from India, called Amul butter. “People here said, ‘It’s crazy. Let’s put Heinz tomato ketchup in the sauce and make it easier,” Anand explained about the stateside version of his beloved dish that lacks the beloved dairy product of his childhood. For his new restaurant, Anand, who was born into a renowned culinary family in Punjab, India, teamed up with his brother Saurabh Anand, a graduate of the School of Hotel Management in India with more than 10 years in the hospitality industry in Delhi. Saurabh Anand had been talking with the owners of the Moti Mahal and won the rights to become the global franchisers of the company in March. Gaurav Anand had already obtained the space and was planning on creating a Bhatti Indian Grill 2, but then realized it was the perfect spot for the brothers’ first Moti Mahal U.S. outpost. Anand’s team of chefs got extensive training from Moti Mahal Delux master chefs — here and in New Delhi — learning about the balance of flavors that “makes this food so addictive,” he said. The menu traces its lineage to the royal chefs of the Mughal Empire who used the tandoor — or clay oven — for cooking chicken. It also includes such specialties as Kaali Daal (black lentils and house-churned butter cooked for 18 hours in special six-layered copper pots imported from India), Kadi Patta Jheenga (grilled prawns cooked with curry leaves), and Masala (a fragrant curry prepared with a choice of goat brain, crab, chicken or shrimp). But it’s the butter chicken that has inspired Indian families from Long Island, New Jersey and elsewhere to flood the restaurant with calls in its first week, Anand said. He and his brother already have big plans for Moti Mahal’s U.S. expansion. They’re hoping to add two more Manhattan locations and then branch out with franchises in Washington, D.C., Chicago, Boston and elsewhere. Plus, Anand was ready to branch out of Curry Hill. “I love Curry Hill, but at the end of the day, you can’t just keep opening there," he said.